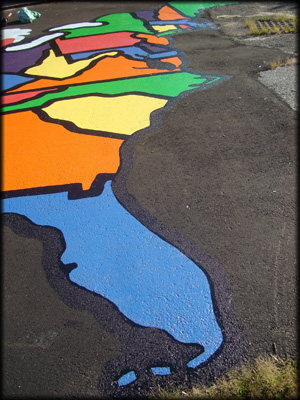 In the summer of 2008, Neal designed and painted a mural of the United States on the grounds behind Veterans Memorial Elementary School in Provincetown, Cape Cod, Massachusetts. 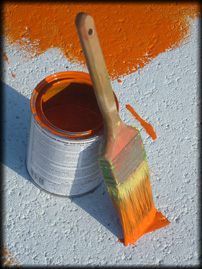 The mural project began with a layer of fresh pavement and a wonderful idea to create a learning tool behind the school. 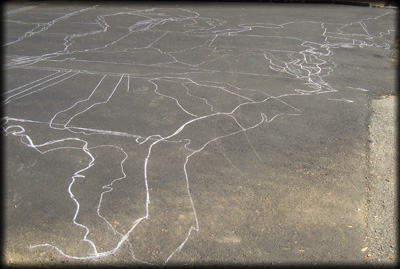 Neal, working entirely from memory with a piece of chalk, first outlined the suggested layout of a 20' by 30' map of the United States. He then painted a base coat to seal the area. 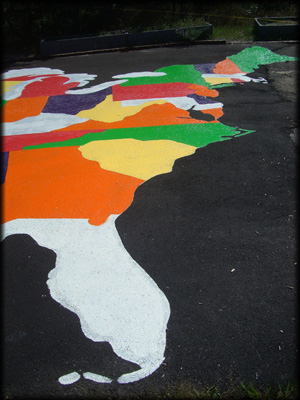 Once this coat of white primer dried, the application of color commenced, and working with primary and secondary colors, Neal completed the map with an outline in black. 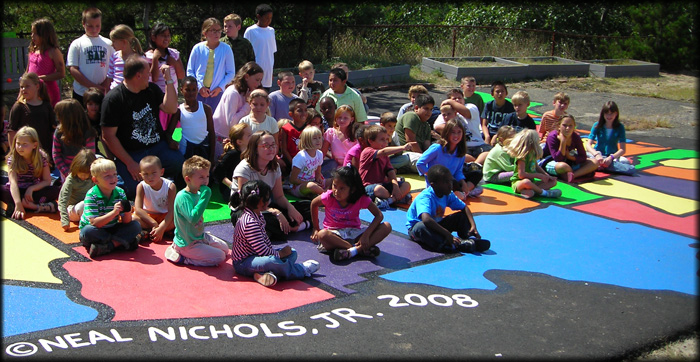 The mural received rave reviews by the local newspapers and the school teachers, parents and students.